WHY SHOULD OUR SCHOOL JOIN GOVAS? 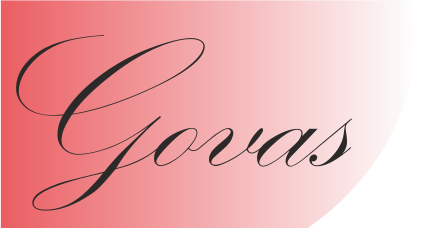 GOVAS is the School Governors` Association for Stockport. It is the representative body of governors of publicly funded schools in Stockport. Schools pay an annual subscription of £10 to GOVAS. All members of the school`s governing body are then full members of GOVAS. GOVAS is affiliated to the National Governors` Association, and is able to access NGA information and support. GOVAS represents Stockport school governors on many bodies of Stockport MBC, presenting governors` views and ensuring that your voice is heard. GOVAS is independent of the Local Authority, and cherishes this independence, since it gives us strength when presenting governor concerns. However, we work with the LA where this is beneficial to governors, and have a Memorandum of Understanding with the LA to ensure that governor support is coherent and effective. GOVAS works to ensure good practice of governance. We share good practice through our website, and through meetings and conferences. GOVAS raises issues of educational concern through its website and through regular newsletters to governors. We coordinate governors` views and ensure that they are passed on to those who can act to improve the education of Stockport`s children and young people. GOVAS works to ensure that Stockport governors have access to sound advice, relevant information, good training opportunities, and individual support when needed. GOVAS members elect a Management Committee at its Annual General Meeting. This committee is active throughout the year, working for Stockport governors.